The secular charter that has been proposed for Quebec is not only silly but also dangerous. Last week, Parti Québécois leader Pauline Marois, said that if she is elected Premier of Quebec, she will enact a bill that excludes public display of all religious symbols – except for the Christian crucifix. Since the “Quiet Revolution” of the 1960s – a decade in which the then dominant Roman Catholic Church lost its power in Quebec – secularity has become the dominant social and political ideology, not only Quebec but also in much of the rest of Canada. “Secular,” in part, means the exclusion of religious institutions from running government. The secular movement in Quebec in the 1960s succeeded in excluding the Roman Catholic Church from running schools, influencing public policy, and being favoured by government. Quebec became the forerunner of the now secular federal and provincial Canadian governments. As a Christian, I believe “secular” is good, in this sense: Canada is secular (free from control by a religious organization), liberal (there is freedom for the individual), and democratic (citizens freely vote to elect their political leaders). I do not want any religion to run the country. I celebrate human rights. I value democracy; as one has noted, while messy, it is the best option. Secularism is another issue. As an idea, it advocates that religious ideas (not just religious institutions) have no place in the public sphere. So one can be a Jew, Muslim, or Christian, but one is required to leave one’s faith at the door of public life. I support a secular government (as opposed to a religious government, such as the one that governs Iran). However I oppose secularism. A person’s religious views by nature must influence what he or she does in serving the public sphere. Without exception and unsurprisingly, MPs who identify themselves as Christians say their faith influences what they say and do – not their religious or church institution, but what they personally believe. This is the distinction between secular and secularism. Now to Quebec and Parti Québécois leader Pauline Marios. What she wants is to enact a secular charter which will guarantee that the state has no bias toward any religion. What is driving this? Hasn’t the state got what it wanted in stripping the Roman Catholic Church of its power and influence? Ah, but the Roman Catholic Church is the least of her worries. With that battle won, she has now turned to another opponent, unnamed but surely understood. Muslims. Their presence seems to be feared. Their religious symbols are aggravating. 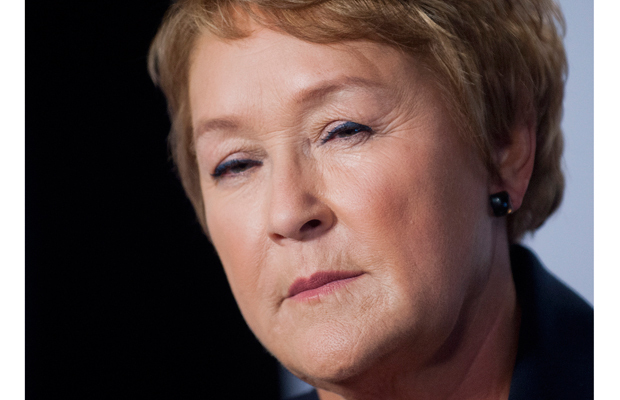 While little is explicit, Marois’s concern about “retrograde currents” is vividly implicit. It is uncommonly similar to the code of conduct proposed by the town of Hérouxville that, among other things, forbade Muslim women from wearing face veils. The bizarre twist in this story is that Madame Marois proposes – contrary to classic secular thought – that a crucifix will remain in place at the National Assembly in Quebec City. Why? Because, for her, this is a cultural symbol. What she has done is turn what is deeply religious, at the core of Christians’ faith, into a cultural icon. Supposedly, this frees it from its religious identity and allows it to stand inside her convoluted definition of what is now “secular.” She wants her steak without killing the steer. She wants to keep in favour with Quebeckers who have an emotional attachment to Christianity by retaining the crucifix while feeding the bias of those who resent the arrival of those of another faith. Well, that may be politics in Quebec, but elsewhere it provides ammunition in places where the public display of religious symbols can bring death. Canada is a model of being both secular and religiously plural, demonstrating how each religion has legitimacy and how members of each religion are free to practice and promote their faith within the law. With one flash of a brain wave, Marois has given a rationale to those in other countries who want to limit Christian freedoms because Christian presence and symbols fly in the face of the dominant culture. In Egypt – a country with the oldest continuing Christian community – Christians are being vilified and killed because they have had the temerity to advance their faith and publicly display their symbols. Surrounded by an Islamic culture, Christians make up 12 percent of the Egyptian population. In Egypt, the Christian community argues for a fairness rooted in the notion of secular government, one in which there is freedom of religion and their faith has an equal opportunity to influence the public square. Madame Marois’s logic is contradictory and perverse. It fails the test of building a secular democracy in Quebec. Even more hurtful is that, outside Canada, it gives an argument others can use to bolster their own demagoguery and anti-Christian policies. Surely within the Parti Québécois there are some who will see the barbarity of such a policy. Even while bringing some change to the culture – in the end, culture is always changing, never static – surely some within the Part Québécois will persuade its leaders that building freedom for all is best for the province, its people, and its reputation.